Jan. 30, 2018 - 3D scanning and inspection solutions developer LMI Technologies (LMI) has launched a new line of modular multi-point scanners called the Gocator 200 Series. The Gocator 200 Series is the latest addition to the Gocator line of smart, all-in-one 3D sensors for material optimization and 100 per cent quality control. 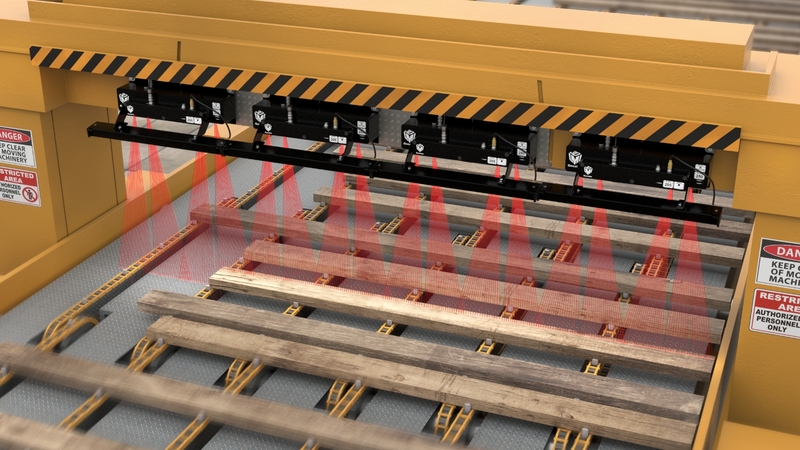 With Gocator 200 multi-point scanners, users can create a scanning system based on a modular design that allows a mix of 3D profiling, tracheid detection, and colour vision for sawmills and planer mills looking to maximize wood breakdown decisions, the company said in a release. The G200 series is based on coplanar scanning that effectively captures both the leading and trailing edges of lumber while minimizing conveyor footprint, offers true differential profiling for accurate thickness measurement, and can scale from one to 48 sensors to cover various lumber length requirements. Based on the proven high-density profile design of chroma+scan, Gocator 200 scanners run 50 per cent faster to achieve scan rates at 3 kHz matching mills running at 300 feet per minute. In addition, tracheid scan rates are three times faster to deliver 1.5khz density for exceptional detail in wood grain detection. With the launch of the G200 series, LMI is also expanding the capabilities of its standard Gocator Software Development Kit (GoSDK) with a new Web Scanning SDK (GoWebScan). GoWebScan SDK allows users to quickly and easily implement their own solutions by taking care of common tasks like system alignment, and merging data from multiple sensors.